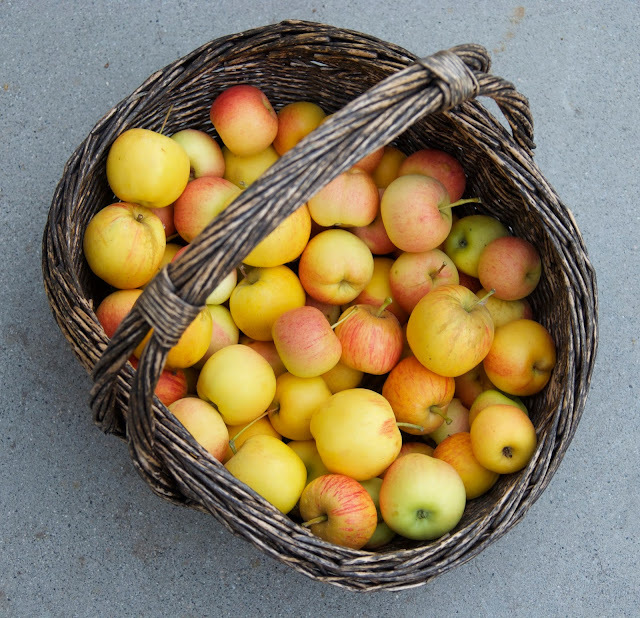 We picked the last of our Gala apples from the tree today, I think that qualifies as an official sign of fall! The apples are smaller than usual, which I assume is result of the drought. We did have one day of rain this week, which we never, ever get in September, the garden loved it. We're hoping this is a prelude to the very wet winter that has been predicted, and cross our fingers for a bigger crop next year. I've been eating these sweet little gems all week, I like to chop them up and mix them with yogurt, cinnamon, and a little maple syrup. I was going through my apple recipes, so I thought I would share some of my favorite ones with you. Apples are plentiful and inexpensive this time of year, so even if you don't have a tree of your own, buy some apples and try one of these recipes, celebrate fall!